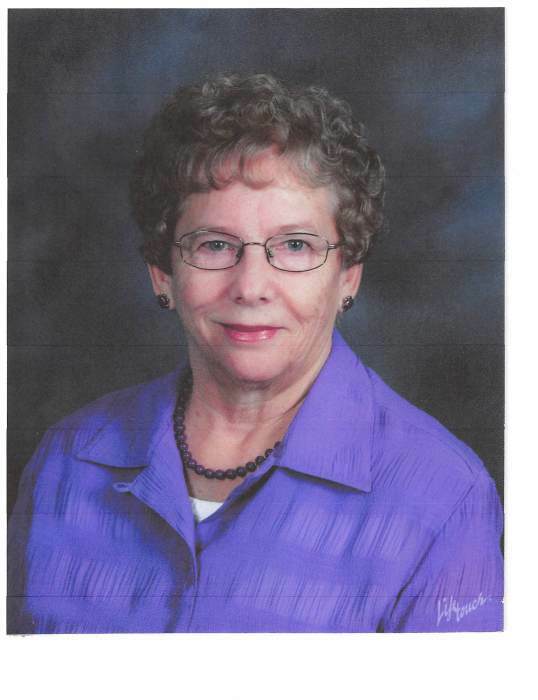 Mary Whiting, age 81, of Milbank, died on April 5, 2019, at Sanford Hospital in Sioux Falls. Mass of Christian Burial will be held on Tuesday, April 9, at 11:00 a.m. at St. Lawrence Catholic Church in Milbank. The Celebrant will be Father Gary DeRouchey, and burial will be in the St. Lawrence Cemetery. Visitation will be at the church on Monday beginning at 5:00 p.m. followed by a prayer vigil at 7:00 p.m. Visitation will continue at the church on Tuesday, one hour prior to the Mass. Mary (Van Hout) Whiting was born in Grant County, SD, to August and Pearl (Smith) Van Hout on December 8, 1937. Mary was baptized and confirmed at St. Lawrence Catholic Church in Milbank, SD. She was raised on the family farm north of Milbank. She attended rural school at Melrose #9 and St. Lawrence Catholic School through eighth grade. She later received her G.E.D. diploma. Mary worked at various jobs as a waitress, factory worker, and housekeeper. On September 19, 1974, she married Orvin Whiting and they farmed together south of Milbank until his passing in July of 1999. Mary was a member of the Old Mill Twirlers Square Dance Club for 27 years. She served as president, vice-president, treasurer, and historian. She loved playing cards and was a member of the Grant County Senior Citizens. Mary was also a longtime bowler, played the accordion, and was an accomplished artist. She was a woman of faith, a lifetime member of St. Lawrence Catholic Church, and sang in the funeral choir for many years. Mary is survived by one brother, Jerome (Joyce) Van Hout of Milbank, SD; special friend, Francis Murphy of Milbank, SD; and many nieces and nephews. Mary was preceded in death by her parents: August and Pearl; husband, Orvin; three brothers: Kenneth, Antone (Bud), and Joseph Van Hout; four sisters: Rosella (Clifford) Hermans, Annabelle (Eldon) Kasuske, Lucille (Albert) Folk, and Donna Van Hout; sister-in-law, Diane (Joseph) Van Hout; brother-in-law, Arvid Whiting; nephew, Andrew Folk; and one infant sister. Mary was on dialysis for the past 7 ½ years of her life and was honored to have been the first patient in the new Milbank Avera Dialysis Unit. She was so grateful that she no longer had to travel to Watertown and Ortonville three times a week and in inclement weather. Therefore, it was Mary’s wish that in lieu of flowers donations be made to the Milbank Dialysis Unit.